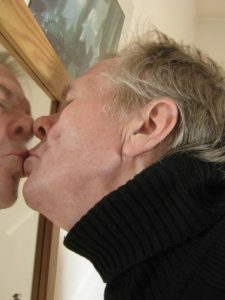 How Do I Divorce A Narcissist? 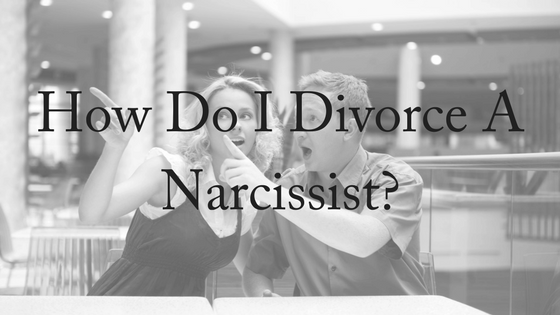 One of the hardest things you may ever have to do is to divorce a narcissist. How do you know you’ve married a narcissist? It can be difficult to identify them, because they’re charming and often on their best behaviour. However, once a marriage begins or you have been in a relationship long enough, their true colours begin to show. A narcissist is someone who as a deep admiration for one’s self, and goes well beyond typical selfish interest. The narcissist’s admiration stretches far beyond what a person may deem normal. Instead, they put themselves before all others and even prioritise themselves before people such as close family and friends. They may even prioritise before you, their partner, and your children. In these circumstances, you may wish to end this relationship as you find it toxic and dangerous for you and your children’s wellbeing. Unfortunately, it can be incredibly hard to divorce from someone who only wishes to prioritise their needs and wants. In this article, tips and legal advice will be provided so you have a better understanding on how to leave your relationship. Of course when someone is divorcing, there are no real winners. The best outcome is an amicable split. However, a narcissist believes that they are the victim, and do not see any benefit in settling or mediation. They want to win and be proven right. 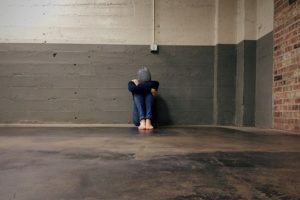 They may even begin to twist the story in order to win; they may claim that you are abusive or manipulative, or that the children are better off without you. If they have an asset that they want to win in the divorce, then they will lie or manipulate their way into obtaining that asset. They wish to maintain their power, and threatening them with a court case will not show a change in their behaviour. They will simply try to lie and play the court into believing their side. They will try to waste time and continue to make false accusations as an attempt to wear you down and simply end the court case. They will try to emotionally manipulate the court and will not take into consideration how their actions may be emotionally affecting others. Unfortunately, this may mean that the narcissist will use the children, the family home or anything else they can think of as threats against you. Most narcissists are willing to go through the court battle in order to feel a sense of power and control. They believe they hold the outcomes of the case and will try their hardest to maintain control of assets. By dragging you through court, they believe they still hold the power of the relationship, no matter how long the case or court process may go for. You may wish for the divorce to simply be over so you can get back to normal life, but this is not the goal of the narcissist. They may refuse to show up to court dates and not sign information just to delay the process. When divorcing, it is best to remember that they want to win at all costs, and this can mean forcing you to simply walk away from the process. The narcissist believes that the longer the process will take, then you will simply fold. They will not negotiate or compromise, but will stubbornly insist that you give in to their demands. No matter how tempting it is to give in, it is best that you stand your ground, and you can do this with the support of your lawyer giving you the best legal advice on the case. The narcissist will make it a point to describe you as evil in front of court; this is a part of their strategy. Stand strong in the truth and continually advise your lawyer of what is truth and what is not, and allow your lawyer to argue your case. Do not take the matters that are stated in court outside of the court; it is up to your lawyer to rebut the points the narcissist creates and represent you in court. Even after the divorce is finalised, there may be conditions to the split. This can be child support, child custody and the splitting of assets. You must ensure that you follow all conditions of this divorce as any small slip may result in the narcissist wanting to return to court. The narcissist’s goal is to get you to cave. Instead, remain strong and tell your attorney everything on the case and the relationship. Keep track of everything and let your lawyer fight your battles. Try your hardest to not get emotionally invested in the claims the narcissist claims and keep your goals in mind. Divorcing a narcissist can be incredibly hard, and it is best to seek legal advice immediately. Our friendly, experienced family lawyers will help you navigate this difficult time in your life. Contact us for your free, 10-minute phone consultation.